Sajungos square lies next to Vilijampolė - the old Jewish quarter of Kaunas that was turned into the Kaunas Ghetto between 1941 and 1944 during the Nazi Germany occupation. Almost 30 000 inhabitants of the Ghetto were murdered in that period. In 1979, during the Soviet occupation, a monument to young communists, who fought for the installation of the Soviet government, was built on this site. In 1991, after the Independence, the bronze reliefs of the monument were removed. Since then only the dilapidated architecture of the former monument remains. 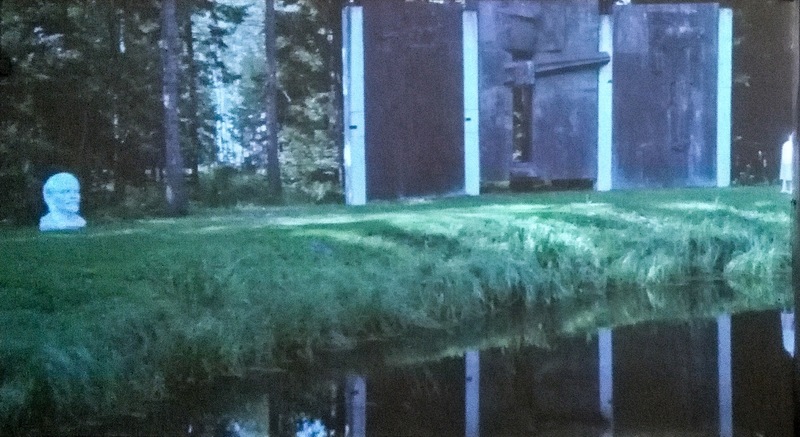 In Vilijampolė there is no sign commemorating its murdered inhabitants. Horst Hoheisel (b. 1944, Poznan, Poland) & Andreas Knitz (b. 1963, Ravensburg, Germany) have worked together since 1994 on many memorial projects known as counter-monuments or negative monuments. They are searching for new contemporary forms of commemoration of the victims of mass murder and dictatorships, mainly in Germany, but also in South America, Armenia, Cambodia and elsewhere. Instead of repairing the irreparable, their goal is to make the absence of murdered people visible and felt. The most notable of their projects is the memorial in Buchenwald – a steel plate on the ground of the former concentration camp that always retains the temperature of a human body, during day and night, in summer and in winter. Hoheisel has also made the most radical proposal in 1995 to the competition for the Monument to the Murdered Jews of Europe in Berlin. Rather than suggesting another edifice to fill the void and allow everyone to forget it, he proposed instead, to create a void – to destroy a monument to German power, the Brandenburg Gate. 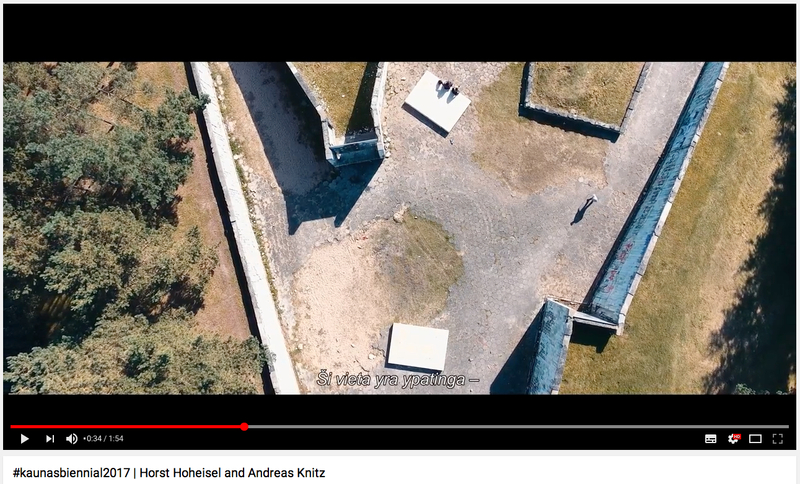 22 years after this unrealisable proposal and a suggestion that perhaps only perpetual irresolution of commemoration can keep the memory alive, Hoheisel and Knitz now ask in Kaunas: Has the destruction of a monument made us think, has it changed our thinking? Does it mean destruction cannot happen here again?